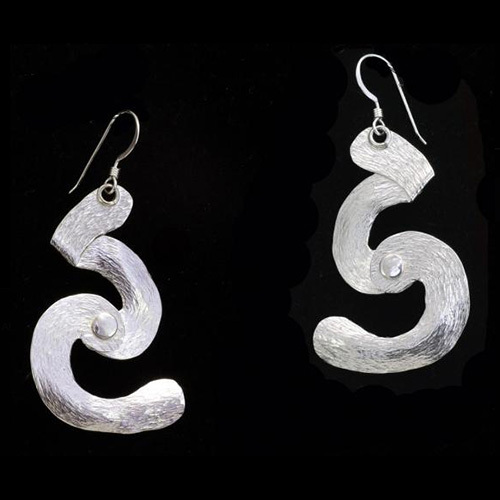 Energy in motion: hand-textured, sparkling sterling silver earrings with beautiful movement. One-of-a-kind. Measured from top of ear wire. Prices in Canadian dollars.